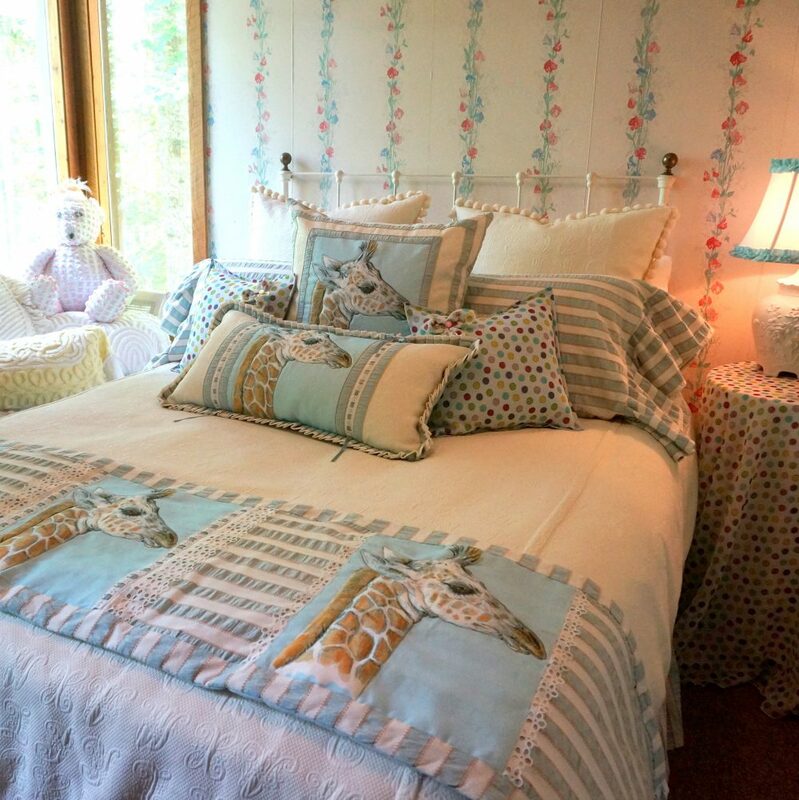 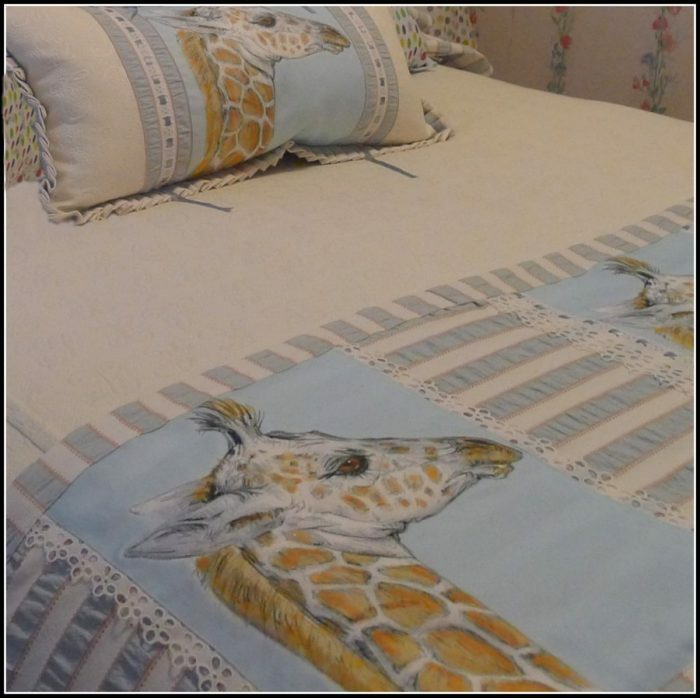 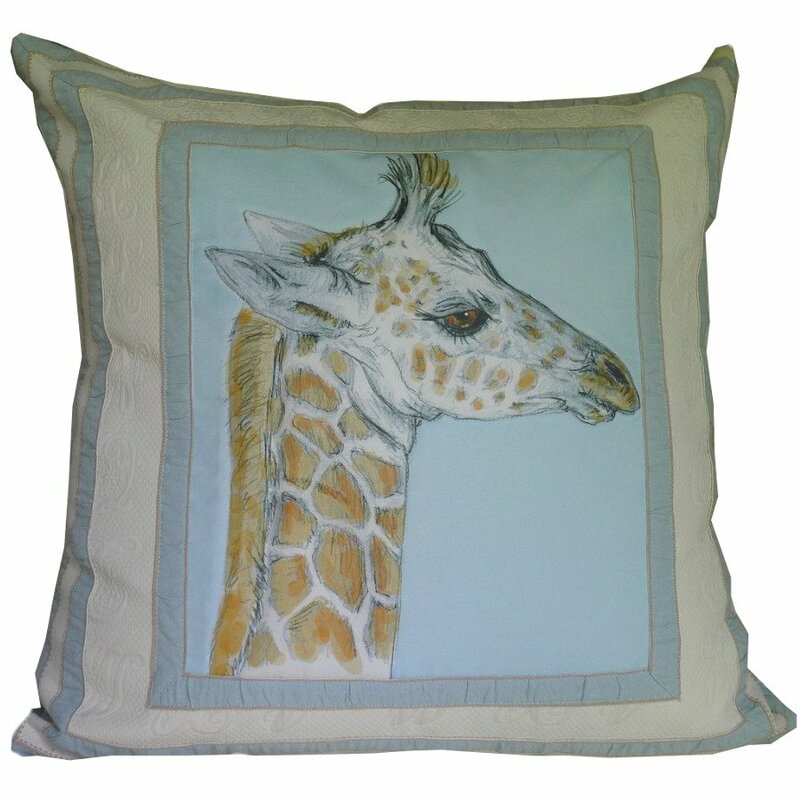 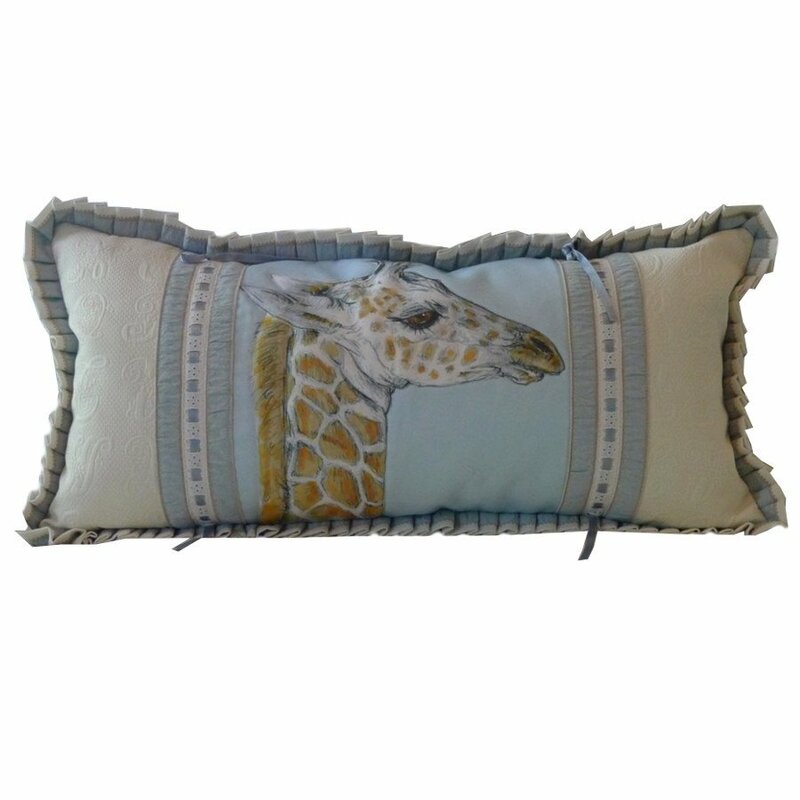 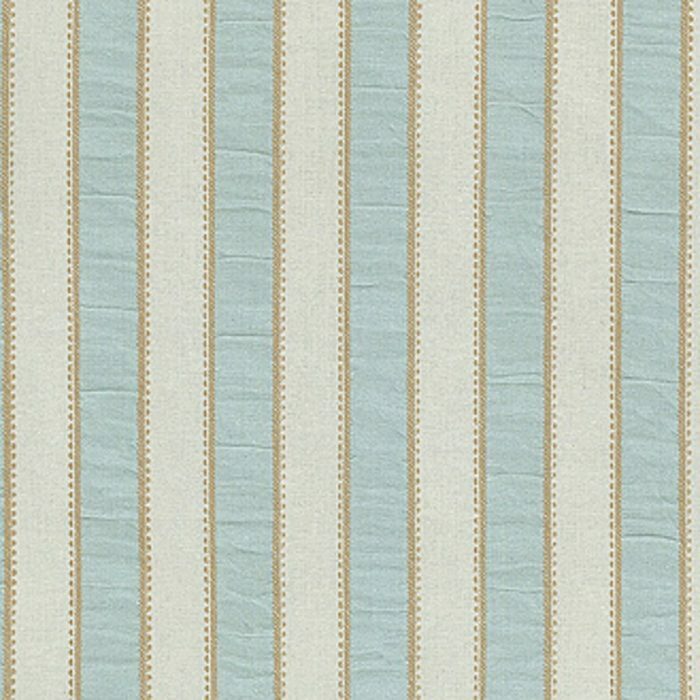 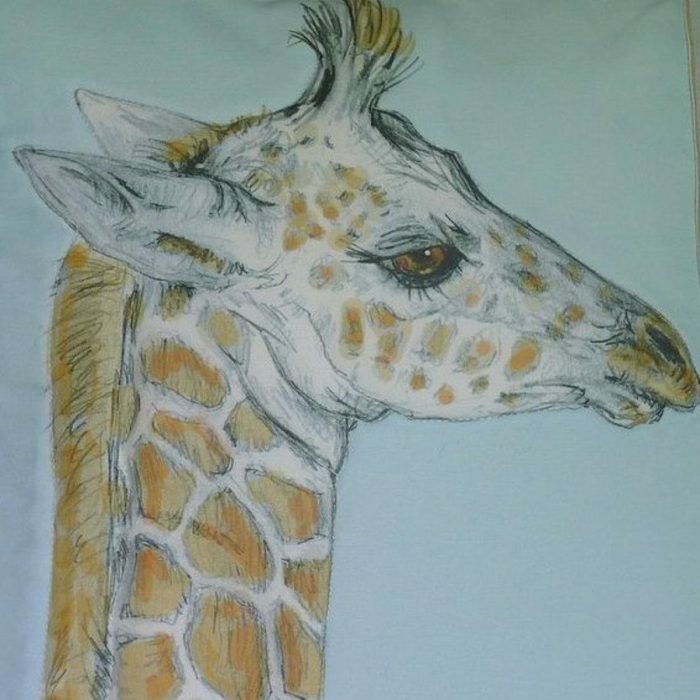 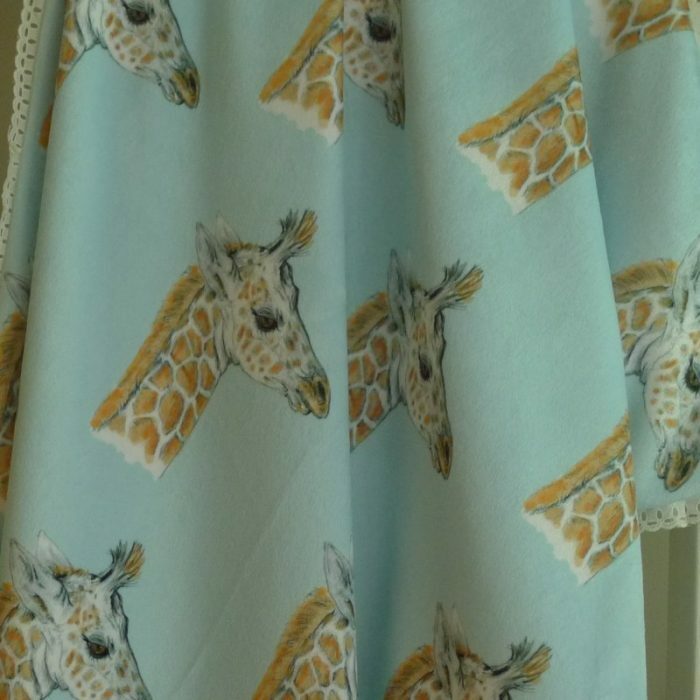 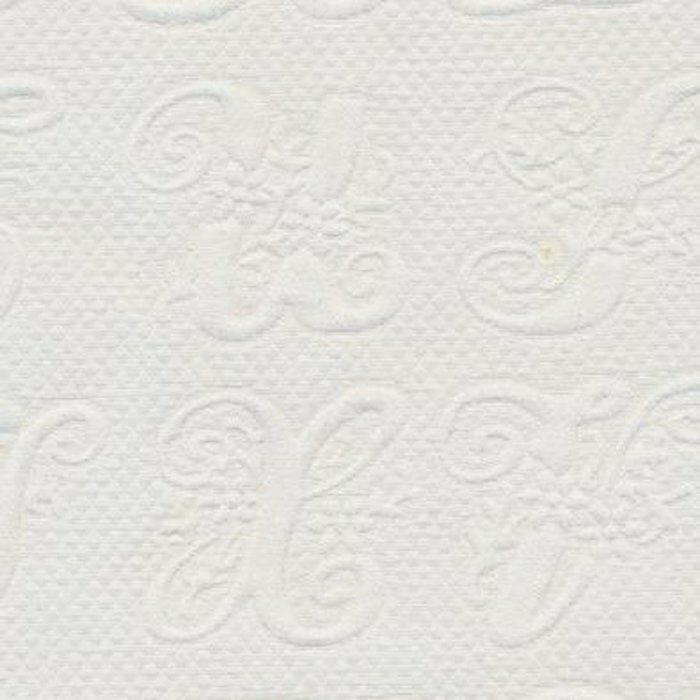 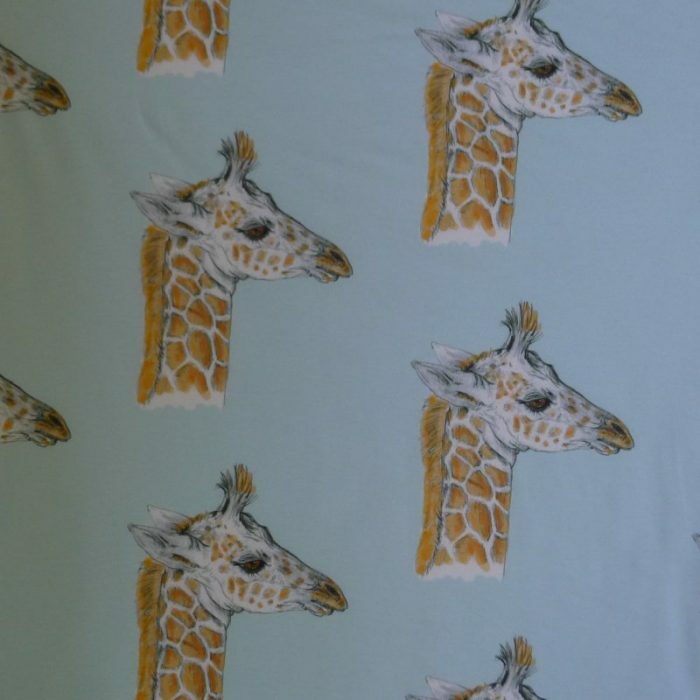 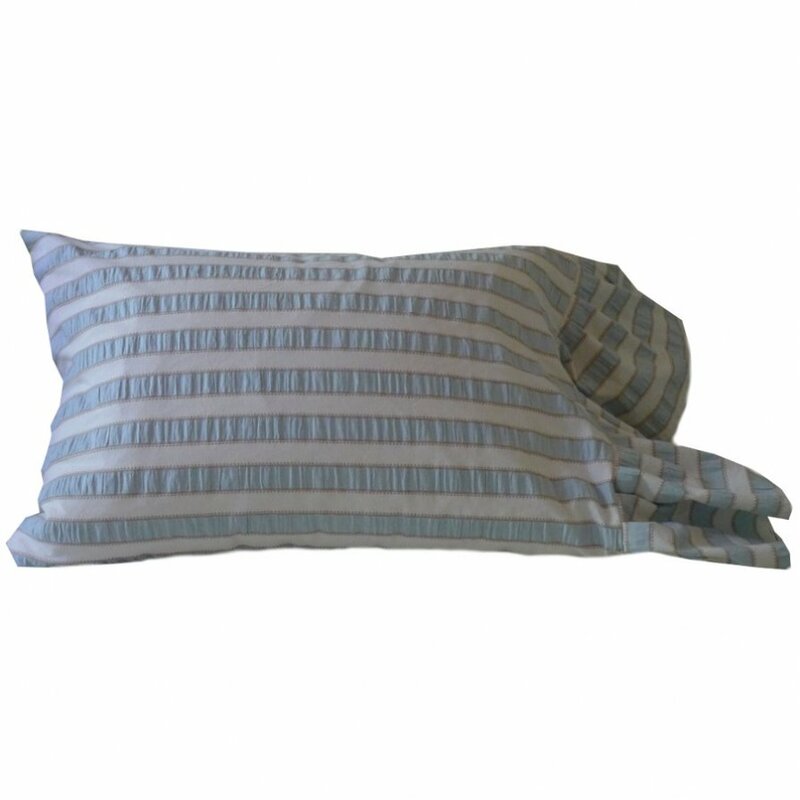 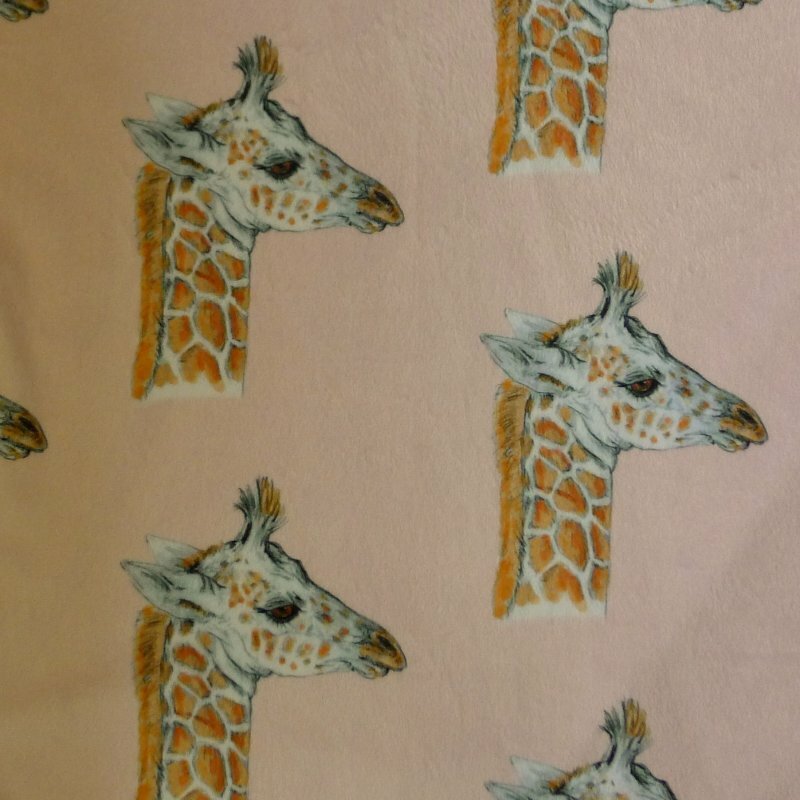 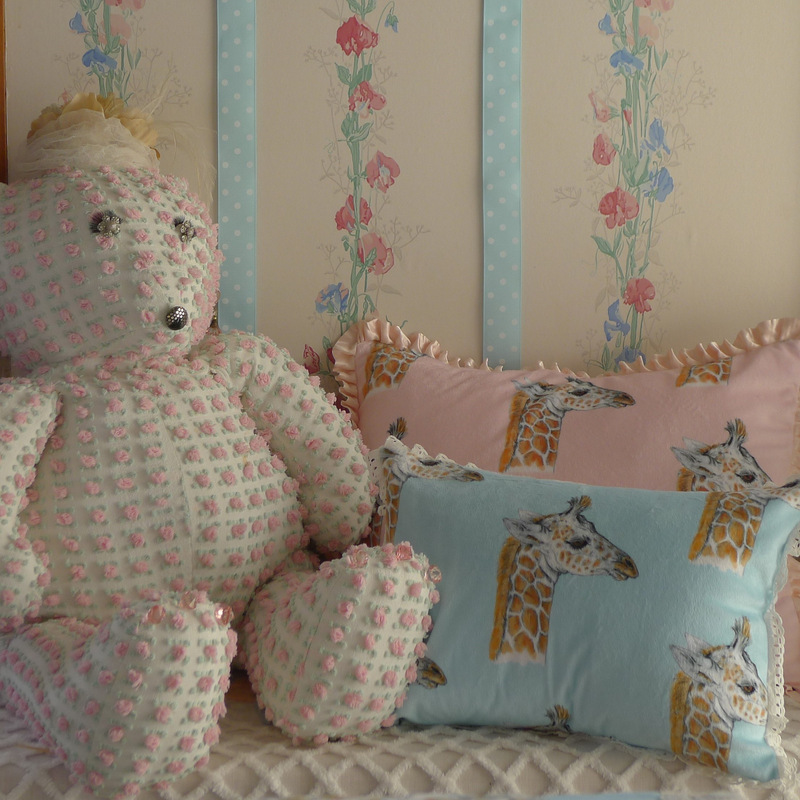 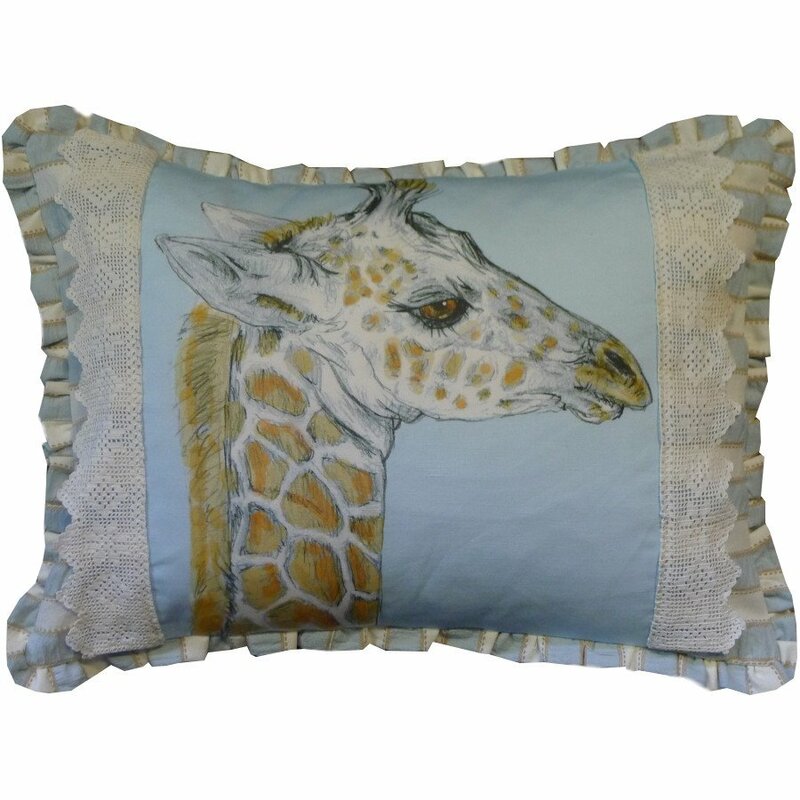 26×26 Euro sham with custom printed Giraffe Baby center mitered in Sally Stripe and Script Matelasse’. 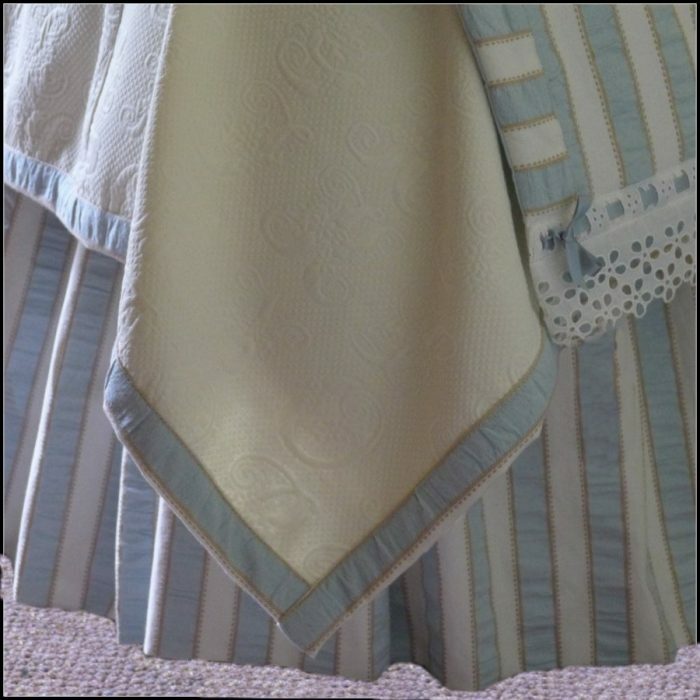 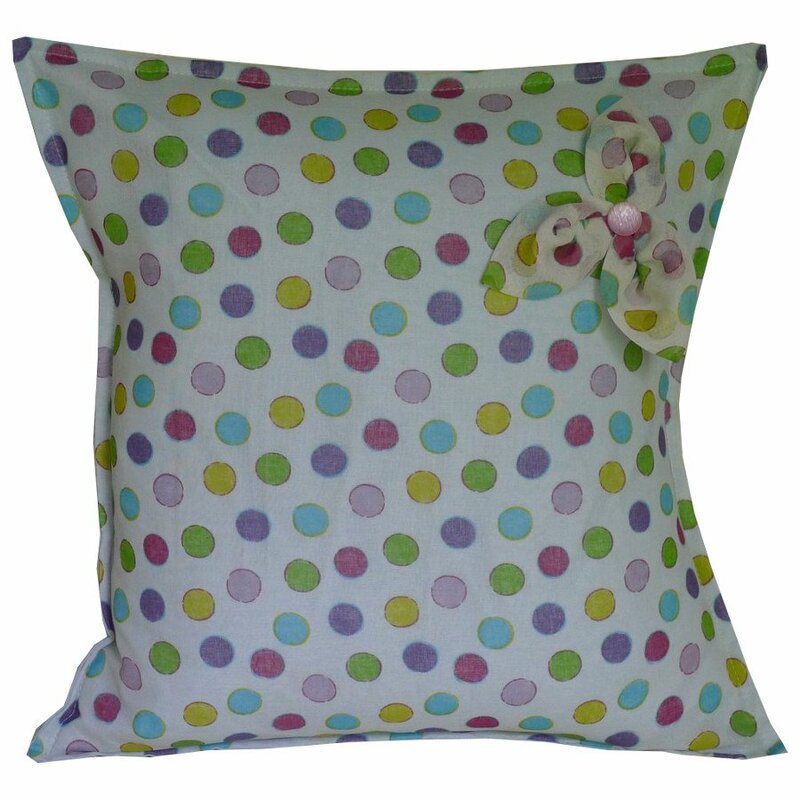 16×16 polka dot pillow with petal trim. 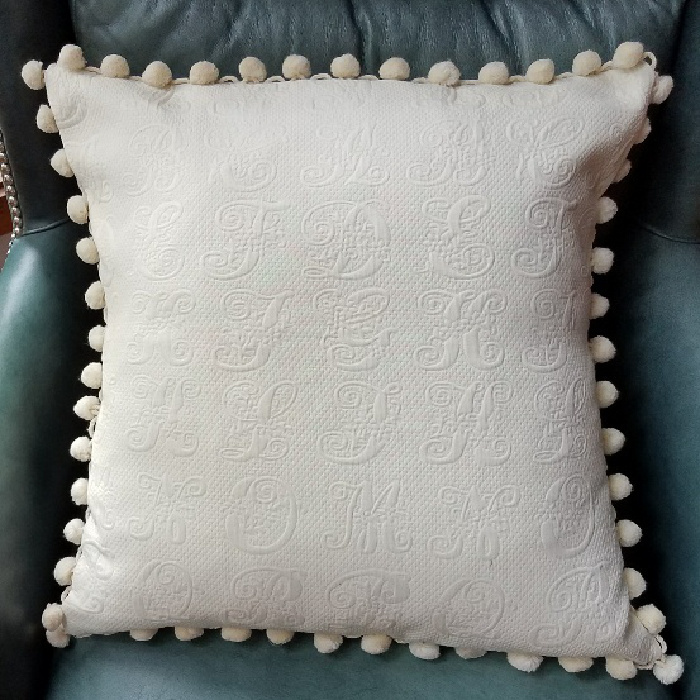 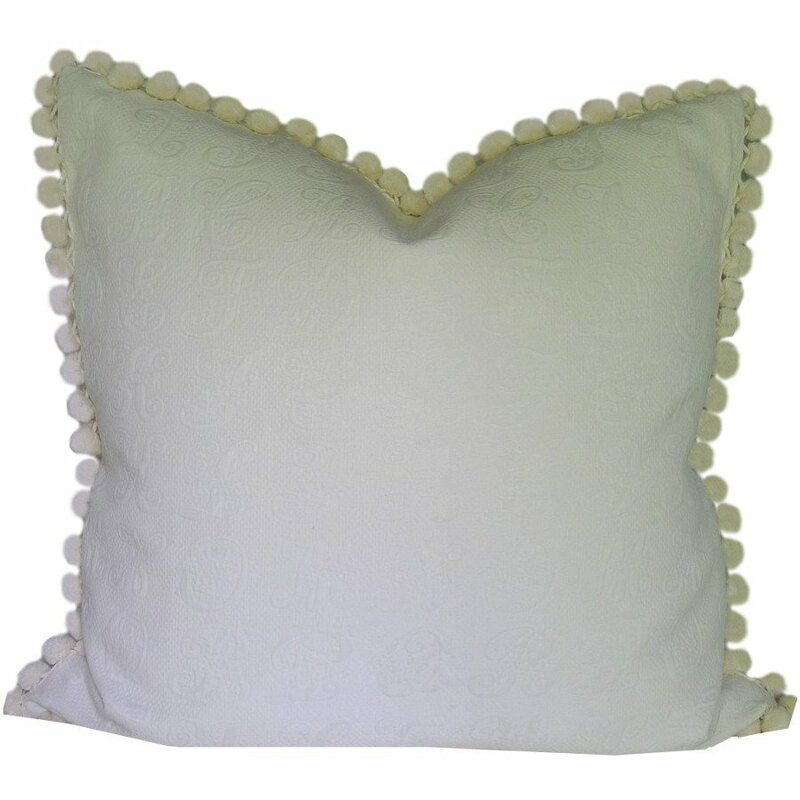 20×20 script matelasse pillow with pom pom trim.